Muktinath Temple is one of the famous religious places in Nepal for Hindus and Buddhist. The Buddhist nuns are in charge of maintaining the temple and all its facets. This place is located at the foot of the Thorong La Mountain, which has been a popular destination for trekkers (Thorong La Pass). As winter progresses, this place gets covered with snow. Most of the people who can afford it, migrate to different cities like Kathmandu and Pokhara to escape the cold; while the poor have no choice but to fight through the cold. 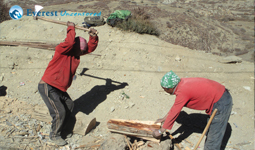 As a lifeline, they collect and carry firewood from the nearby jungle (at Lete) which is at more than a day’s walk. 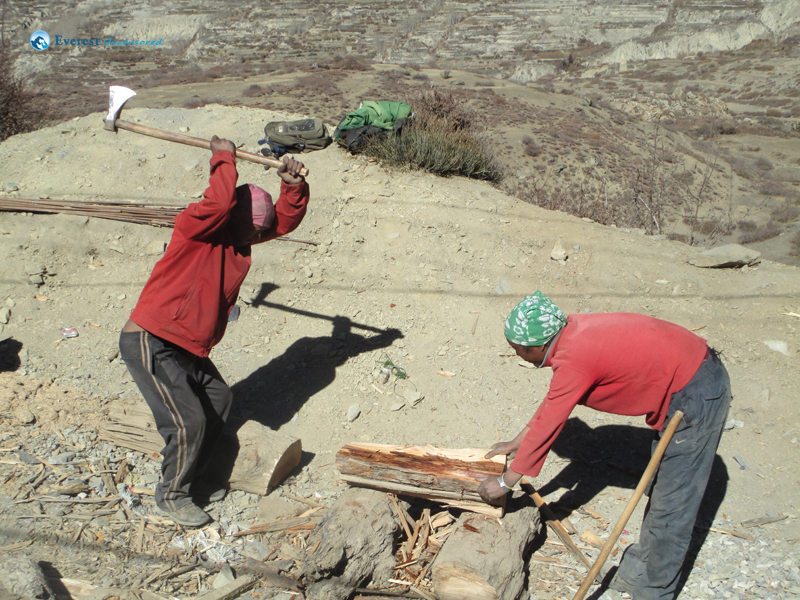 In this picture the inhabitants of Ranipauwa are cutting logs for firewood using a traditional axe. This will be used cooking as well as keeping them warm.